With the disappointment of the Obama administration's loan modification program designed to help homeowner's facing tough economic times, Maryland's proposed Foreclosure Mediation program is a welcome tool. There's only one catch- the homeowner must use it! Yes, frightened homeowners, you have to play to win. At a time where folks feel overwhelmed with debt and joblessness, the temptation to get back into bed and pull the covers over one's head is great. With creditors ringing phones off the hook and stuffing mail boxes with ominous threats and notices, a mortgage-holder's foreclosure notice might get placed into the "Do Not Open Until Lottery is Won" pile. Starting this summer, real relief may be on its way. Modeled after successful programs in Philadelphia and Nevada, it looks like homeowners will have two opportunities to negotiate with a lender to change the terms of a loan to allow families to stay in their homes or to take a hit less harsh than foreclosure. The first opportunity is the loan modification request. The second and better opportunity is during this new foreclosure mediation. The practice will go something like this: The homeowner stops paying the mortgage because there's no money. The lender then seeks to file a foreclosure action in court. However, 45 days prior to filing in court the lender is requiredto send the homeowner an application for loan modification or mitigation. If the mail isn't opened, it doesn't get seen. Now, the homeowner may look at the loan modification application think: "I'll never qualify" and give up and throw it in the recycle bin. Perhaps the homeowner has already gone on the loan modification merry-go-round with the lender who has rejected a prior request or offered an inadequate modification. But don't throw it away- apply! Why? First of all, the lender now needs to work faster and are forced to respond. It's about time that the lenders have the burden of acting! They need to act upon the loan modification application at least 30 days before the foreclosure sale. Let's assume the homeowner is disapproved. What next? Along with the affidavit from the lender outlining their rejection will come a "Request for Mediation" form. The homeowner will have 15 days to file a Request for Mediation. The Request for Mediation must be filed in two places: In the Circuit Court where the foreclosure action is filed (along with a $50 filing fee) and with the lender's lawyer (the lawyer who filed the foreclosure action in court). The homeowner should remember to keep a copy for him or herself and hang onto it. 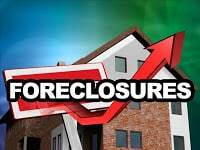 Upon filing the Request for Mediation, the foreclosure action is "stayed." That means nothing will happen with the foreclosure action until the mediation is over. The Office of Administrative Hearings will have 60 more days to schedule the mediation. The case will be mediated probably before an Administrative Law Judge-Mediator. If the Philly or Nevada programs are any indication for how this program will turn out, the news is pretty good. About a third of the homeowners are working it out and staying in their homes. With more than 40,000 foreclosures in Maryland in 2009, and a greater number than that expected in 2010, that's a lot of families who will remain in their homes. So what could make a lender who has already denied a homeowner a laon modification reconsider at mediation? Like most disputes the mediator's method to settlement is to identify shared interests of the parties, and in foreclosure mediation, many homeowners want their homes and the lenders want to avoid the adminstrative nightmare of owning a bunch of empty homes. This gives some hope to a lot of homeowners, especially those who still have jobs and income. If some amount is being paid on the mortgage, that may be better for lenders than the alternative. For many homeowners, the mediation may provide the opportunity to negotiate other more favorable outcomes better than foreclosure, like short sales (selling the home for the amount of the mortgage or at a lesser agreed-upon price.) Mediation may simultaneously help homeowners as well as force lenders to make better overall business decisions. The result for everyone? A mediated road to faster economic recovery. Don't pass up this opportunity to see how mediation is changing the way Maryland and the country constructively resolves disputes. But you have to open your mail. You have to apply for the loan modification even if you think it's fruitless. You have to look for the lender's approval or affidavit denying your loan modification in your mail. Then you have to timely file it, with the foreclosure lawyer and the Court, pay your filing fee. At last the homeowner may have an option that produces more positive results. Don't miss your chance.